Do you only have 4 weeks to play with? 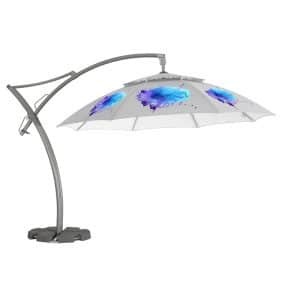 Then opt for our European printed parasols. 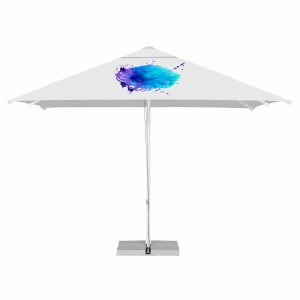 These can be produced and delivered often in under 4 weeks, so you can have personalised and printed parasols to your exact specification super-fast. 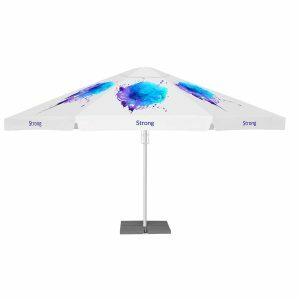 With options of digital (as standard) or screen printing (for large volumes), we can produce your pantone matched canopies quickly with a choice over 10 printed parasol styles in a range of 30 different canopy sizes. 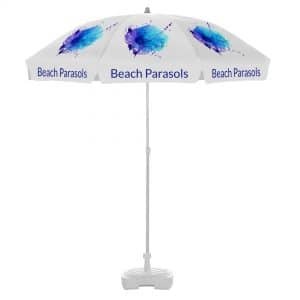 And best of all we have no minimum orders so you can order as a little as 1 printed parasol! 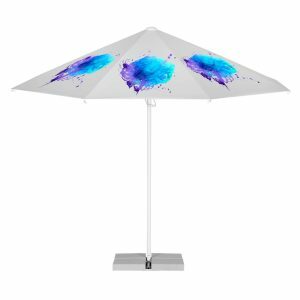 Brollies & Parasols offer everything from simple logo printing to all over beautiful digital prints. 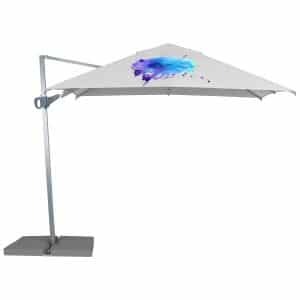 We also guarantee high quality canopies with superior strength and wear plus crease resistance. 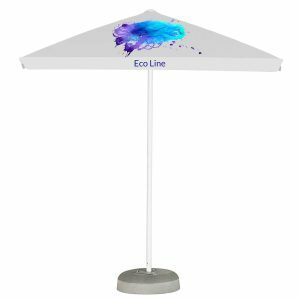 Our canopies are fade and stain resistant and offer UV radiation, water and dust resistance.